When you begin the game, the mysterious narrator will begin to talk. After he's done talking and the introduction sequence has finished, you'll enter the game's tutorial regardless of whether you want to skip it or not. You'll gain control just after Sam mentions Stinky's phone. Click on the icon at the top right of the screen, with Max's face on it. Select the toy telephone, then Stinky's Cell. They'll be teleported over to her. Sam will then fire at Skun'kape, but it'll be ineffective. A brain will talk to them and ask about a homing beacon. Click the box icon and then take the beacon out. Click on Skun'kape, but it won't work. Now then, click on the toy that Max is trying to grab. Select the new toy/power when the opportunity comes up and use it on the plant painting. Click on the Rhinoplasty he holds in his hand. Move up towards Skun'kape. Use the beacon on him when you can't move any further. Then use the remote control then on Skun'kape by accessing the inventory. Next, walk around the ship and click on Harry. Grab the next toy as it appears. Use it on Harry. Use the phone toy and select Harry. Use Rhinoplasty on the gun then and pick up 'bazooka Max'. With the conclusion of the tutorial, it seems that what you just played was nothing more than a vision of the future. When you gain control, your first objective is to contact the brain you met during the tutorial. He's currently on the ship. However, before doing that, there are other things you can do first. Before doing anything though, talk to Skun'kape and the man, Agent Superball, next to him. Also, feel free to use Max's future vision power in the starting area for some fun. Afterwards, head to the car (left of the current area) and go to Bosco Tech Labs after the conversation, by clicking on the map. Once you arrive at the lab, enter the building via the blue door. Enjoy the following sequence where Harry and Momma Bosco are introduced. Take the lift that Harry used down to the ground level. Use Future Vision on Sam, Harry and Momma Bosco, then talk to both Harry and Momma Bosco. You'll find out her Power Core has been stolen. Next, head back to the Straight & Narrow. Examine the phone on the way out though. Head into the alien ship. You'll find the alien brain is dead. Examine it and then use Future Vision on the brain, then Sam. Now you know that you need Stinky's Demon-Broth and Momma Bosco's Power Core to revive him. So, exit the room only for a cutscene to play. Grab the ticket by pressing the off-world vacations, personal effects button. Then exit and head back to the car. Grab the Jumper Cables from there, then head back to Momma Bosco's place. Talk to Harry about the vacation ticket, then give it him. However, he won't accept it just yet. Head back to the Straight & Narrow, then head into Stinky's Diner. In here, start off by using Future Vision on Flint Paper. After that, use Future Vision on any other objects in the room like characters and the radio. Now, head back to Bosco's place and talk to Harry about the lottery ticket. Use the vacation ticket on him and you'll gain the lottery ticket. Head back to Stinky's Diner and talk to Grandpa Stinky, saving the Demon Broth topic for last. Next, use the lottery ticket on him. This'll enable you to take the Demon Broth. Now use the helmet on Flint. Go through the conversation options, with the Power Core left till last. Head to the car and make a phonecall using the phone COP. Select the Stinky's Cell option. Do it twice and when prompted, select the 'let's meet' option. She'll leave the diner. Head in and go behind the counter. Push the green button here and go down the passage where Flint was sat. Click on the junk to the right. Head back to the alien ship and go to the room where the alien brain is. Now then, you'll need to use the Demon Broth on the brain. Next, use the power core and connect the jumper cables to it. This will revive the alien brain. 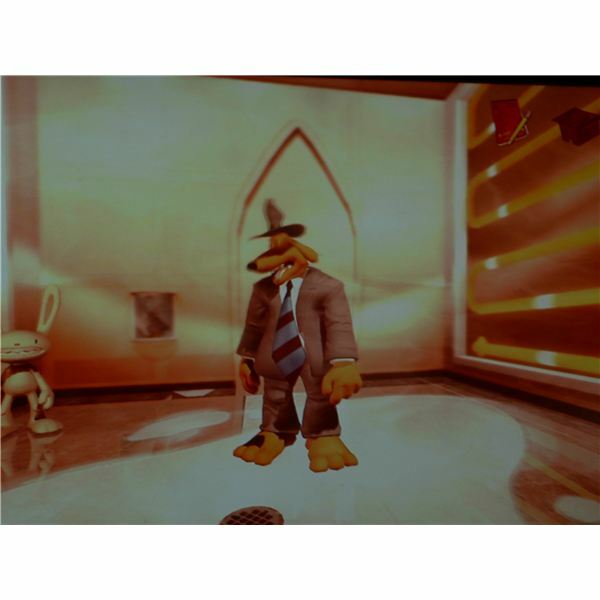 Following the dialog and cutscene, the brain will reveal a location of another toy. To find it, head down one level and talk to Superball. After the dialog, grab the toy. Next, head up one floor again and talk to the brain. Use the Future Vision on the personal effects and also the Mole-Processing Door. Then use the door. After entering the Mole-Processing room, you'll be stripped of your inventory. To get out, use Max's Teleportation ability to go to Stinky's Cell. Pick the phone up. Now head back to the ship and go back into the Mole-Processing room. 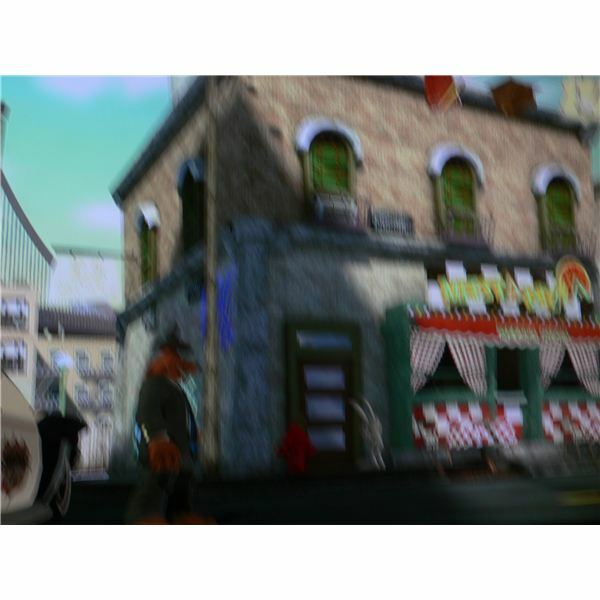 Teleport to Stinky's Diner from here and use Future Vision on Grandpa Stinky. Then, talk to him and save the 'we love Skun'kape' option until last. When you choose that, back out of the dialog while Max is trying to attack Grandpa Stinky. Now use Max's teleport ability to go to Stinky's Cell. After that, collect your belongings from the Personal Effects. You'll have the Homing Beacon. Now then, port to the car. Use the Scanner on the COPS. You now have the ability to analyse evidence. But before doing anything like that, teleport to Bosco's Tech Labs. Sam will be thrown out of the building, while Max is taken by a gorilla. Go around the side of the building and use the fire escape. Go to the pole hanging over the street and click the bird. Then use Max's teleport ability to teleport him and the gorilla to Sam by selecting Stinky's Cell. The gorillas will now be out of action, letting you enter the building. First though, grab the item that the bird dropped. Talk to Momma Bosco once inside and grab the remote control after picking the destabilizer dialog option. It's on the shelving underneath the platform Momma Bosco's on. Port back to your car by choosing the COPS option. Click on the Crime-Tron and say yes, you'd like help. Once the dialog finishes, place the shot glass and the cell phone on the Crime-Tron. Now head to the location that just opened up, Meesta Pizza. Once there, go to the right-hand side of the building. Use Future Vision on the bird, the pizza boxes and then on Sam. Place the cell phone on the pizza boxes. Now teleport to the cell phone. Pick up the item by the bird on the roof-top. Head back to the COPS. Click the Crime-Tron and use the engagement ring followed by the postcard. Head to the new location, the Pawn Shop. Here, use Future Vision on the gorilla, then the trash. Click on the trash afterwards and then the manhole. Use the banana peel with the manhole then. Enter the Pawn Shop. Use the receipt and the new item you gained on the Crime-Tron then. Head to the new destination. After arriving, use Future Vision on Sam. When you regain control, talk to Stinky and then say he's not so bad. When asked to name one of his good points, choose the spaceship option. Teleport to Stinky's Cell. 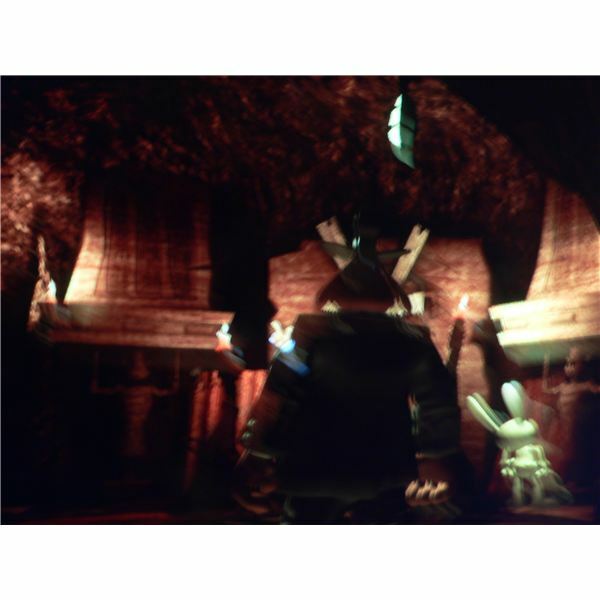 As it turns out, Skun'kape used the future toy to see what Sam and Max were going to do. 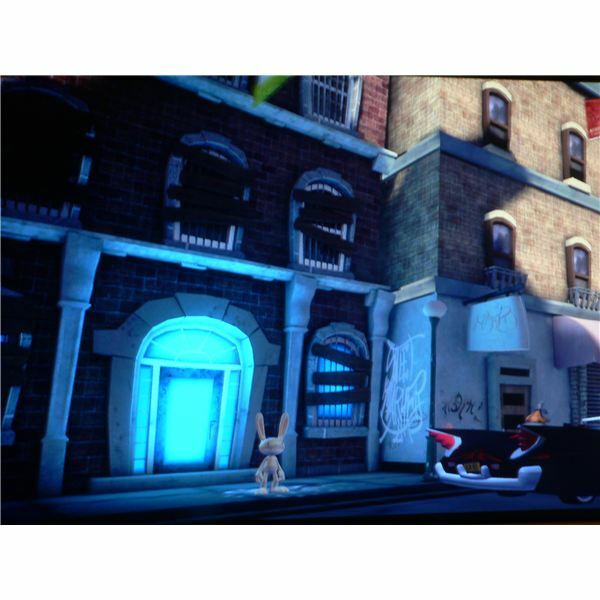 As a result, Sam and Max are sent to another dimension. In order to leave here, just teleport to Momma Bosco's place. When talking to Momma Bosco, choose the Skun'kape option and you find out that you'll need to send him to another dimension In order to do so, Sam and Max need to head to the Straight & Narrow again. Before doing that, choose the Rift Generator conversation option and then grab the device off the table. Teleport to Sybil's after grabbing the device. Walk down the street towards Stinky's Diner and Skun'kape will attack. The goal here is to move around the area and have the circle on the screen stop (it stops when it turns changes colour) around the wreckage on the street in order to clear it away. Move out of the circle though when it changes colour. When the wreckage around the gaping hole is cleared, port to Sybil's again. Enter the mysterious tunnel then. Talk to the mole-men for some interesting dialog but when it comes to the puzzle, plug the device in where the boiler is and pick up the cable by the box. Plug it into the box. Click on the rift generator then and teleport to Stinky's Cell. Go through the dialog options and sneak up to Skun'kape and use the homing beacon. Head back to the device by porting to Sybil's. Use it. After the dialog finishes, use the boiler controls and then use the paddle-ball toy on Skun'kape. With that, the first episode will be complete. Enjoy the ending sequence. 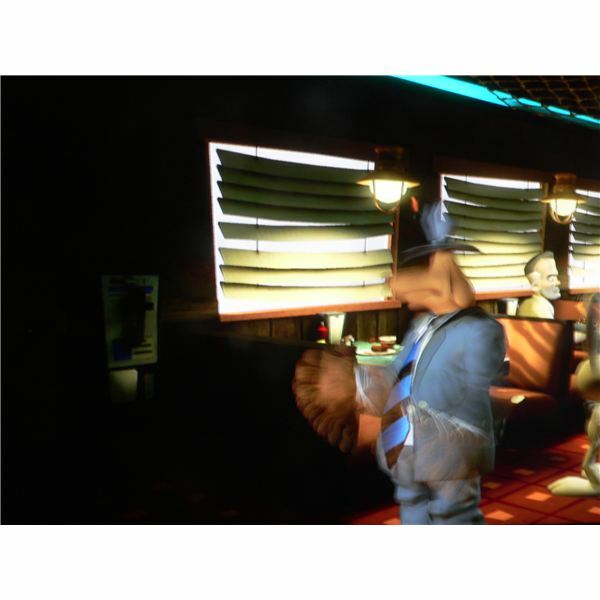 A walkthrough for the five episodes that comprise the third season of Sam and Max.